This draft report presents the results of our survey of legal services costs incurred by the Cherokee Nation. The objectives of the survey were to (1) determine whether the Cherokee Nation acquired and paid for legal services in accordance with applicable laws, regulations, and policies and (2) identify the source of funds used to pay for the legal services. We conducted the survey in response to a Congressional request. In fiscal year 1996, the Cherokee Nation received revenues of approximately $131 million, consisting of $83 million primarily from Federal, state, and private grant and contract sources and about $43 million from the Nation’s business operations. Within the $88 million, the Nation received approximately $64.5 million from the Federal Government, including $8.6 million awarded by the Department of the Interior under a self-governance compact, of which the Nation expended approximately $6.4 million. At the time of our audit, the Nation had not prepared financial statements for fiscal years 1997 and 1998; therefore, we were unable to determine the funding sources and total dollar amounts of receipts and expenditures for those years. However, according to records provided by the Office of Self Governance, Department of the Interior, the Nation has received approximately $8.9 million under its fiscal year 1998 annual funding agreement pursuant to its Self- Governance Compact with the Department as of September 3, 1998. The 1994 amendments (Public Law 100-413) to the Indian Self-Determination and Education Assistance Act (Public Law 93-638) permanently established the self-governance program for Indian tribes. Under self-governance funding agreements, tribes are authorized to plan, conduct, redesign, and administer programs, services, functions, and activities that meet the needs of the individual tribal communities, including control over finding and decision making for Federal programs. On October 1, 1990, the Cherokee Nation entered into a compact agreement with the Secretary of the Interior to participate in self-governance and agreed to abide by all existing Federal standards in carrying out the programs, services, and functions under the self-governance compact. Also, the Bureau of Indian Affairs, on February 12, 1998, published draft rules and regulations for tribal self-governance programs that require the tribes to maintain management systems and practices at least comparable to those in existence when the tribe entered the self-governance program. Our survey was conducted in accordance with the “Government Auditing Standards,” issued by the Comptroller General of the United States. Accordingly, we included such tests of records and other auditing procedures that were considered necessary under the circumstances. 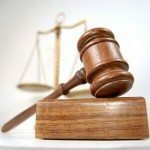 To accomplish our objectives, we obtained and reviewed applicable criteria related to the procurement and payment of legal services, reviewed and discussed financial controls over these functions with Nation officials, and selected and reviewed samples of legal services payments and Federal program funds transfers. Of 335 legal services transactions, totaling $1.3 million, recorded in the Nation’s general ledger system during the period of October 1995 through February 1998, we judgmentally selected a sample of 89 (27 percent) transactions, totaling $1 million (77 percent). We sampled legal services transactions equal to or greater than $1,000 and all expenditures identified for three legal services vendors. We also judgmentally selected from 159 Bureau program inter fund transfers, totaling $35.5 million, a sample of 21 (13 percent) transfers totaling $11.5 million (32 percent) which varied in amounts from $63,000 to $800,000. The inter fund transfers were from special revenue accounts (used to account for restricted funds such as Bureau grants) to the Nation’s general operating fund and motor fuel tax accounts (used to account for Nation revenues) and occurred during the period of October 1996 through February 1998. As part of our review, we evaluated the Nation’s system of internal controls over the (1) procurement of and payment for legal services and (2) transfer of Federal program funds from special revenue accounts to the general fund and motor fuel tax accounts to the extent we considered necessary. The internal control weaknesses identified are discussed in the Results of Survey section of this report. If implemented, the recommendations should improve the internal controls. Our survey was performed from March 31 to September 3, 1998, and included visits to the Headquarters of the Cherokee Nation in Tahlequah, Oklahoma, and the office of the Nation’s independent accountant, in Oklahoma City, Oklahoma in April and May 1998. The Independent accounting firm recommended that the Nation determine whether its new accounting software was appropriate for the Nation, assess the proposed plan to complete the implementation of the accounting software, designate an internal full-time project manager to manage the implementation project, and utilize an external resource to monitor project implementation. In addition, the independent accounting firm recommended that the Nation (1) consistently follow policies regarding competitive bidding and any grant or other funding sources requirements and (2) update and maintain current accounting policies and procedures to asset nation personnel in the day to day use of the new accounting system. Further, the independent accounting firm recommended that the Nation develop and embark on a specific strategy to address and resolve the uncertainties and disagreements, including approval of amendments to existing laws that would clarify the Nation’s budgetary laws. Footnotes: In 1994 the Cherokee Nation acquired a new financial accounting software package to update its accounting system and related processes to ensure the timely and accurate preparation of financial statements and management reports. However, as of January 15, 1998, the Nation’s independent accounting firm stated that the new software package was “still no functional” and that “there may even be concerns as to the fitness” of the new software package to meet the Nation’s financial and accounting needs. expenses for financial statement preparation) for fiscal years 1996 or 1997; (4) recorded expenditures to Federal programs that were not in compliance with Circular A-87; (5) recorded expenditures without having an established appropriation/budget code; (6) had not established Federal program funds transfer procedures since 1985. The Independent accounting firm recommended that the Nation (1) develop a policy to require the Executive Branch to present to the Tribal Council all proposed contracts for concurrence prior to their execution, (2) develop a policy to ensure that all invoices are read before they are paid to determine whether a contract has been put in place and that the payment due was for agreed-to services and within dollar limitations in accordance with the terms of the contract, (3) determine the actions needed to enable timely production of a current trial balance, (4) develop policies and procedures to ensure compliance with Federal and State requirements, (5) clarify the role of the Tribal Council in approving budgets, (6) establish a consistent means of measuring compliance with established budgets and perform regular budget versus actual expenditure analysis for each program, and (7) develop an updated policies and procedures manual and ensure that internal controls are adequately developed and implemented as soon as possible. Based on the two prior audit reports, the Nation instituted a number of actions to improve its financial management. In an August 13, 1998, memorandum to our office, the Nation’s Executive Director of Finance and Administration stated: The Cherokee Nation Executive Branch and the Cherokee Nation Legislative Branch are strongly committed to strengthen and maintain an efficient, effective financial system. Evidence of this commitment is the development and implementation of a Financial Improvement Plan…and the appropriation of $2,000,000 for the project. The Nation’s financial department and the contractor for the project…have the project well underway and expect successful completion. The Financial Improvement Plan, not only includes the complete and correct installation of the American Fund ware Accounting system, correct organization of 97 data for audit and organization of 98 data (to date) and proper staffing of the Accounting Department. Proper staffing and a fully functioning Accounting System will provide for efficient control maintenance, reconciliation and reporting of bank accounts. We found that the Cherokee Nation did not acquire and pay for legal services in accordance with applicable laws, regulations, and policies. Specifically, the Nation incurred costs for legal services without formal contracts, without adequate support for costs billed, outside the purview of contract terms and conditions (when contracts had been prepared), and in excess of Tribal Council approved appropriations. We also found that the Nation incorrectly used Federal Funds from the Department of the Interior to pay for litigation against the Federal Government, transferred Federal funds to the Nation’s general operating fund and motor fuel tax accounts without ensuring that the Federal funds were needed to pay for expenditures under the Federal programs, and inaccurately prepared a Financial Status Report before it was submitted to the Bureau of Indian Affairs. However, we could not determine the source of funds used to pay for all legal services because when Federal funds were transferred to the general operating fund they lost their identity as Federal funds. The requirements for the use of and and the accounting for Nation and Federal funds are contained in the Nation’s Code and implementing regulations and procedures, the Indian Self-Determination Act Amendments of 1994, the annual funding agreements, and Office of Management and Budget circulars. However the Nation’s Executive officials had not developed and implemented an adequate financial management information system to ensure compliance with established regulations regarding legal services, adequate identification of Federal program expenditures and amounts owed, and accuracy, and completeness of Federal program financial reports. As a result, the Nation (1) did not have assurance that legal services incurred were reasonable and necessary, (2) improperly charged $88,000 to the Department of the Interior for legal services (3) transferred Federal funds of at least $16.1 million to the general operating fund without assurance that Federal program expenditures had previously been incurred and were owed, and (4) included inaccurate financial data in the Financial Status Report submitted to the Bureau. Footnotes: The code of federal regulations (43 CFR 12.952) specifies the forms that are authorized for obtaining financial information from recipients, including the Financial Status Report. The nation’s manual “administration policies of the executive branch” (Chapter 7, Section B) states that when using Federal funds the Nation is to follow office of management and budget circular A-102. “Uniform administration requirements for grants-to-aid to State and local governments” (codified in the code of federal regulations (43 CFR 12) and office of management and budget circular A-87, “Cost principles for state, local, and Indian Tribal governments.” and any subsequent revisions to these circulars. requires that accounting records (including payment transactions) be supported by source documentation such as contracts award documents. However, in one instance noted the Nation paid 14 invoices totaling $662,000, for various legal services provided by one legal firm from September 4, 1996, for various legal services provided by one legal firm from September 4, 1996 through July 31, 1997, for which there was no contract. According to the invoices, the legal services related to (1) the Nation’s Delaware and Arkansas Riverbed litigation’s. (2) navigational servitude; (3) compound interest recovery from the government (4) meetings with Congressional, Department of the Interior, a nd Department of Labor officials, and (5) review of the Cherokee Nation Marshal’s search warrant. The Nation made a $27,000 payment on a legal services invoice that did not provide the number of hours worked by the legal firm in relation to the services provided. The Nation made a $2,800 payment on a legal services invoice that did not provide the number of hours worked or the hourly billing rate charged by the legal firm in relation to the services provided. 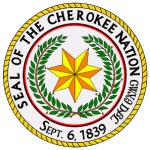 Footnotes: The Cherokee Nation is involved in at least two lawsuits (Arkansas Riverbed and Delaware Tribe) against the Federal Government. The Arkansas Riverbed suit involves disputed ownership of the Riverbed, and the Delaware Tribe suit involves the Cherokee Nation’s opposition tot the Bureau of Indian Affairs approval of the Delaware Tribe’s separation from the Cherokee Nation. The Tribal Council appropriated a total of $300,000 for the Nation’s Delaware Separation litigation. However, we found that costs of $539,000 had been charged against the appropriation and that the excess legal services costs of $239,000 had been incurred without Tribal Council approval. In Addition, we determined that $272,000 of the $539,000 was incurred for legal services unrelated to the Delaware Separation litigation, such as issues related to Department of Labor hearings, the Arkansas Riverbed litigation, the establishment of the Arkansas River Port as a means to create Cherokee Nation business income, and the Marshal’s search warrant. The tribal council appropriated a total of $67,000 for the law and justice department’s general ($33,500) and indirect ($33,500) legal services costs categories. However, we found that general costs of $146,135 and indirect costs of $84,412 had been charged to the Department’s costs categories. As a result, the general costs exceeded the Tribal Council’s appropriation by $112,635, and indirect costs exceeded appropriations by $50,912. In addition, we determined that the law and justice department exceeded its overall appropriation for all costs categories by $117,000. Programs Funds Used for Litigation Against the Federal Government. The Cherokee Nation improperly charged the Department of the Interior for legal services of $88,000 related to the Nation’s Arkansas Riverbed litigation against the Federal Government. The legal services had not been provided for in the Annual Funding Agreement (No. OSGT905) for Self-Governance, dated July 14, 1995, or included in the Nation’s Tribal Council approved budget for expenditures from Self-Governance Oversight Program funds provided by the Bureau of Indian Affairs. In addition, we found that the Nation incurred the legal services without a contract. Office of Management and Budget Circular A-87 states that Federal program funds cannot be used for prosecution of claims against the Federal Government. The Nation’s Chief Financial Officer stated, “Although the Arkansas Riverbed litigation legal services had not been previously included in the Nation’s Self-Governance Oversight program budget and had been incurred prior to her tenure, she decided to charge the costs to the self-governance program because it was necessary to find funds to pay for the legal services. The code of Federal Regulations (43 CFR 12.60 (a)(2) and (b)(3) requires that the fiscal control and accounting procedures of a tribal organization be sufficient to (1) permit the tracing of Federal program funds to a level of expenditures adequate to establish that they have not been used in violation of any restrictions or prohibitions contained in any statute that applies to the Federal assistance and (2) ensure that funds are used solely for authorized purposes. In addition, a February 4, 1998, memorandum from the Associate Solicitor, Division of Indian Affairs, to the Acting Inspector General stated, “Federal funds provided under Tribal self-governance compacts and annual funding agreements are only available for programs previously administered by the Department of the Interior or for programs specifically authorized by Federal statute (not tribal programs) ” However, we found that the Nation processed all payments through its general operating fund including payments for Federal program fund expenditures. We also determined that the Nation’s accounting data resided on two accounting systems which resulted because of accounting data entry timing differences, in the creation of a receivable or due from operations on the old system and a payable or due to operations on the new system. On October 1, 1997, the nation’s chief financial officer notified the chairman, tribal council executive and finance that the nation had a $2.3 million general operating fund cash deficit and said that it was caused by the Bureau of Indian Affairs from the Bureau late reimbursement of project costs. The Nation received the $2.3 million from the Bureau on October 6, 1997 and on October 9, 1997 transferred the $2.3 million to the general operating fund account. However, all the time of the transfer, the Nation’s financial management information system showed that program expenditures of only $1.45 million had been incurred and were owed which resulted in the transfer of federal program funds of $850,000 in excess of supported expenditures. On November 19, 1997 the Nation received program funds of $1,064,837 from the Bureau of Indian Affairs. On November 21, 1997, the Nation’s former Controller directed that this amount be transferred to the Nation’s motor fuel tax accounts. However, at the time of the transfer, the Nation’s financial management information system showed that program expenditures of only $256,351 had been incurred and were owed, which resulted in the transfer of federal program funds of $808,485 in excess of supported expenditures. During our review of the Nation’s reconciliations of the federal program’s expenditures and amounts owed. We found that in a May 12, 1997 reconciliation Indian Health Services program funds of $841,000 had been transferred in excess of expenditures incurred and owed and that in an August 8, 1997 reconciliation Indian Health Services funds of $9 million and Bureau of Indian Affairs funds of $937,000 had been transferred in excess of expenditures incurred and owed. The code of federal regulations (43 CFR 12.60 (b)(1) requires recipients of federal assistance to maintain accounting systems sufficient to permit the preparation of accurate current and complete financial reports. According to a nation official, the Nation annually submits to the Bureau of Indian Affairs a financial status report for its Tribal transportation planning contract. Transportation funds are provided to the Nation as part of the self governance compact. The report provides data on receipts and expenditures and on cash receivable and payable balances. However, we found that the Nation did not correctly prepare and adequately review the report it submitted to the Bureau on March 6, 1998. Specifically the Nation reported (1) a deficit cash balance of $1.1 million that was not accurate and (2) an account receivable of $987,289 as an accounts payable. According to a nation official the errors occurred because accounting transactions were inaccurately recorded in the financial management information system, financial information that was 3 1/2 months old (November 1997) was reported for March 1998 and personnel who prepared the report were not familiar with the reporting process. 1. Require the Cherokee nation to provide assurance that policies and procedures have been implemented to ensure that legal services expenditures are not incurred or paid without having an approved contract, are not paid without adequate supporting documentation are paid within the terms of established contracts and do not exceed tribal council approved appropriations and that federal program funds are used only for supported expenditures incurred in accordance with approval funding agreements or as other wise authorized by legislation. 2. Require the Nation to submit audited financial statements for fiscal year 1997 which accurately present the source and use of all federal funds received by the Nation during that year. 3. Require the Nation to submit interim financial reports which account for the use (including amounts held in qualifying deposits or investments) of all self governance funds received from the department of the interior in fiscal year 1998. 4. Require the nation to repay to the department of the interior any department funds spent for purposes other than those authorized by the terms of the applicable funding agreements. 5. Require the Nation to present a report from its auditing firm stating that a new accounting system, meeting all applicable requirements for control of federal funds had been installed is functionally properly, and produces accurate and timely financial status reports, and that the Nation has implemented an adequate system of internal controls. On September 2, 1998, we met with officials from the office of self governance and the office of audit and evaluation and on September 3, 1998, we met with the assistant secretary for Indian affairs and members of his staff the deputy commissioner for Indian Affairs and officials from the office of the solicitor to discuss a preliminary draft of this report. Since the findings covered the Nation’s administration of funds, the officials did not express agreement of disagreement with the findings but did offer suggestions for reviving the recommendations which were considered and incorporated into this report as appropriate. Please provide us with your written comments to this report by September 25, 1998. Your response should state concurrence or nonconcurrence with the findings and each recommendation including specific reasons for any non compliance. Your response should also provide information on actions taken or planned, including target dates and titles of officials responsible for implementation. If a response is not received by the due date the final report will be issued without the benefit of your comments.